Our Whole Millet and Brown Rice Loaf is a wonderful alternative to the frozen Loaves you find in the Supermarket. These loaves are sweetened with agave nectar and do not contain refined sugar. 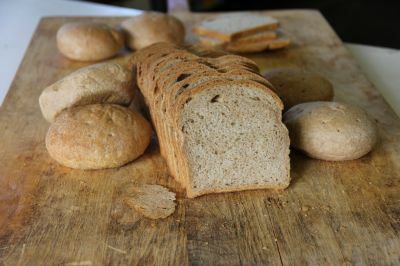 We have received wonderful feedback about this hearty bread. We love the fact that our customers children with dietary restrictions will even eat our Millet bread time and time again! !